This study began as an attempt to develop a statewide thematic approach to surveying the ditches and canals which are a commonly encountered, but previously little studied, property type in California. In the past, canals were not always recognized as a type of cultural resource that might need study, and furthermore, although highways and other transportation facilities often intersect artificial waterways, projects that merely cross linear resources typically have little potential to affect them. As a result, structures such as canals, railroads, or roads that were bridged by a transportation project were rarely included in cultural resource studies. 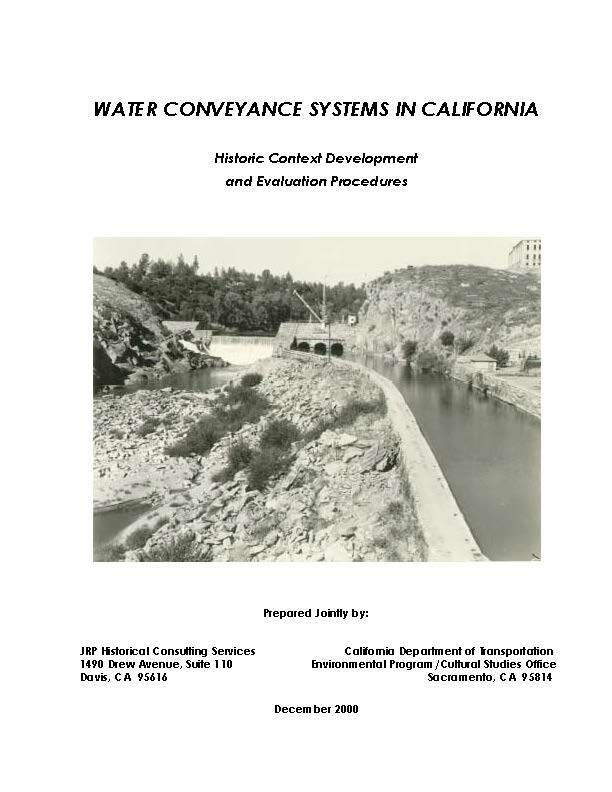 Now there is increased awareness that canals and other water conveyance facilities can be historically significant, and that when projects do have the potential to affect them, they need to be studied systematically. However, important water conveyance systems are frequently extensive and sometimes quite complex, while transportation project effects on them are typically limited to a small segment of the entire property. Under these circumstances, developing a basic historical context would allow researchers to work from a baseline of existing knowledge, thus helping to achieve a suitable balance between the need for adequate information and expenditure of a reasonable level of effort. 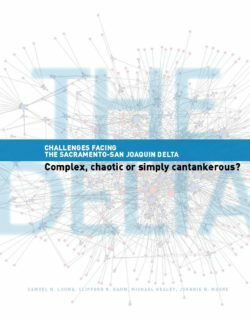 Because of California’s unique combination of natural resources, climate, topography, history, and development patterns, the state has a variety and number of water conveyance systems possessed by few if any other states. Consequently, little guidance has been developed at a national or regional level, leaving California to develop its own statewide historic context and methodology. 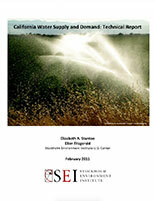 Sufficient research has now been conducted on California’s water conveyance systems to provide this historic context and survey methodology for the appropriate consideration of water conveyance systems, especially the frequently encountered canals and ditches, in order to take into account the effect of transportation projects on historic water conveyance facilities. 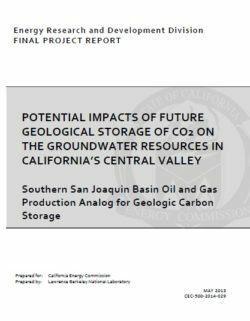 This study assessed the history of oil production and pressure changes in the southern portion of the San Joaquin Basin in California’s Central Valley as a reverse analog for understanding the pressure response to potential geologic carbon sequestration. Sequestration involves injecting carbon dioxide into permeable strata such as those that trap oil. This results in pressure increases in the existing fluid in the subsurface that can provide a motive force for brines at those depths to migrate into groundwater, affecting its quality. The pressure can also cause differential ground surface uplift that can affect surface water flow, particularly in engineered water conveyances such as canals. The strata underlying the Central Valley have been assessed as having considerable capacity to store carbon dioxide, but the area also contains urban areas and extensive agriculture that rely on engineered surface water delivery systems and groundwater supplies. The Stevens Sand, Temblor Formation and Vedder Formation were identified as having the largest cumulative net production from typical geologic carbon sequestration depths. Two oil pools were identified in each of these stratigraphic units for more detailed analysis, which included converting fluid level data to pressure at the pool scale. Data were collected that allowed an assessment of the hydraulic connectivity of each unit. The results indicated that the Vedder was hydraulically connected at the near basin scale, the Stevens was hydraulically connected at the pool scale and was disconnected between pools and the Temblor was disconnected within pools. Researchers used these results to analyze possible brine leakage driven by geologic carbon sequestration. 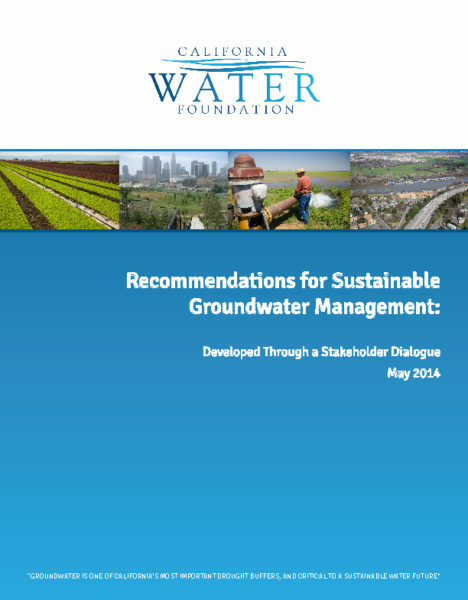 They also reviewed over 200 articles on historic groundwater contamination. They concluded that no instance of contamination due to upward leakage of brine in the Central Valley was reported.